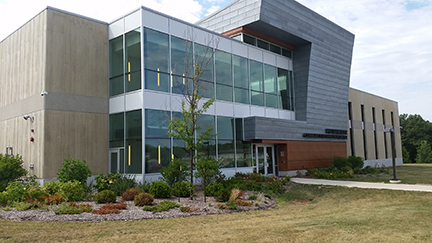 The Technology Center at IVCC used solid precast panels to form the exterior of the building. 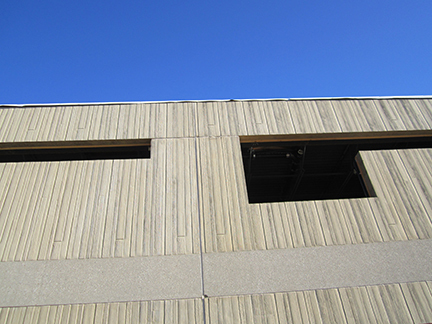 A rough sawn cedar patterned form liner was used along with colored concrete to create the finish needed to match the existing building. Form liner finish of vertical rough sawn cedar to match existing building. White cement with color pigment were used to match the color.